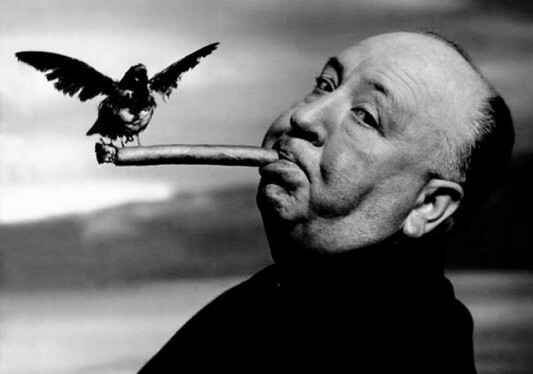 The Master of Suspense, Alfred Hitchcock, is one the greatest filmmakers of all time. One of his classics is the 1959 mystery thriller North By Northwest starring Cary Grant, James Mason, and Oscar winner Eva Marie Saint. The film ranked 55th on the American Film Institute’s 100 years, 100 movies list as well 4th in their list of 100 Thrilling American Films. Debuting in theaters a year after Hitchcock’s classic Vertigo, and a year before he changed the game of horror with Psycho, North By Northwest in unique in the sense, the three years before James Bond burst onto the scene in Dr. No, North By Northwest created the template for the famed spy-hero. 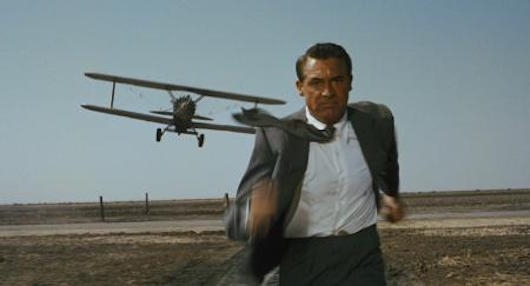 Now, thanks to Turner Classic Movies and Fathom Events, North By Northwest is in theaters for one more day as part of TCM’s Big Screen Classics series. Scream Queens, a comedy-horror that takes place at a sorority house, is getting ready for its two-hour television series premiere on FOX on September 22, 2015. And with a name like Scream Queens, it’s fitting that popular scream queen Jamie Lee Curtis is part of the cast. While Curtis made her claim to fame as final girl Laurie Strode in John Carpenter’s 1978 horror classic Halloween, she started out in life as Hollywood royalty. 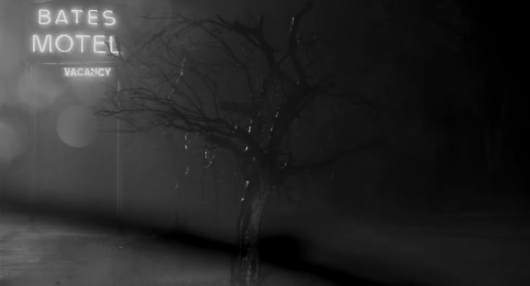 Her dad, Tony Curtis, has a lengthy filmography that includes Spartacus and Some Like It Hot, while mom Janet Leigh is best known for her role as Marion Crane in Alfred Hitchcock’s classic film Psycho. 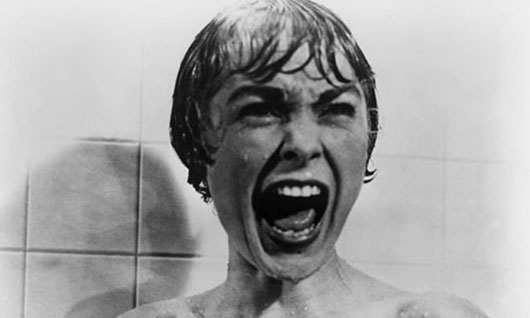 Leigh’s legacy includes one of the most famous moments in movie history — the terrifying shower scene in Psycho. Curtis, who plays Dean Cathy Munsch on the new TV show, posted a photo online of herself recreating her mom’s famous shower scene for an upcoming episode of Scream Queens. Check out the photo here below. Right now, Amazon has the Alfred Hitchcock: The Masterpiece Collection (Limited Edition) Blu-ray box set on sale for only $105.49 (that’s 65% off the list price of $299.98). 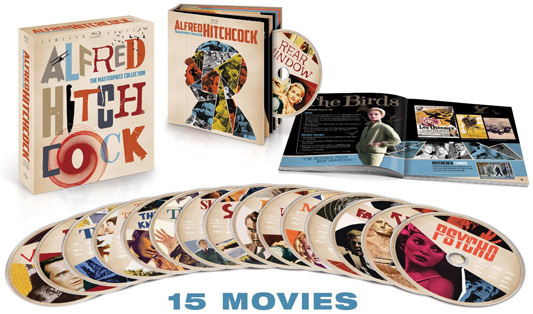 This Blu-ray box set comes with 15 classic Alfred Hitchcock suspense films, which starred actors like James Stewart, Grace Kelly, Anthony Perkins, Sean Connery, and Doris Day: North by Northwest, Psycho, Vertigo, Rear Window, The Birds, Shadow of a Doubt, Family Plot, Frenzy, The Man Who Knew Too Much, Marnie, Rope, Saboteur, Topaz, Torn Curtain, The Trouble with Harry. The Gold Box spotlight deal of the day over at Amazon today is the Alfred Hitchcock: The Masterpiece Collection (Limited Edition) Blu-ray box set for only $109.99 (that’s 63% off the list price of $299.98). Note, this sale is only for today, Monday, October 21, 2013 until 11:59pm PST while supplies last. Today is National Hitchcock Day, a day of celebrating and remembering the Master of Suspense, the man who was as much a colorful enigmatic character as the scores of films he directed, many of which stand as cinema’s all-time best, the one and only Alfred Hitchcock. Hitchcock helmed films such as Psycho, The Birds, Vertigo, Rear Window, North By Northwest, Frenzy, Rope, and a multitude of others (15 of which are now collected on the Alfred Hitchcock: The Masterpiece Collection Blu-ray box set), creating a resume that not only stands the test of time, but remains a highly influential body of work, cinematic primers, and visual textbooks that scores of filmmakers in Hitchcock’s wake have studied, dissected, analyzed, and revered, using many of his techniques in their own productions. 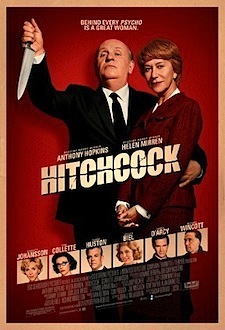 Hitchcock had a huge imagination and it showed in so many of his productions, be it his casting, framing, staging, the way his movies were shot, edited, and scored; imitations in the sincerest form of flattery and the in-sincerest form of thievery, the film landscape that Hitchcock planted by way of his expert movie landscaping remains terrain much treaded on by so many luminaries and rookies and all in between, who work not only in Hollywood, but film companies around the world. The Gold Box spotlight deal of the day over at Amazon today is the Alfred Hitchcock: The Masterpiece Collection (Limited Edition) Blu-ray box set for only $119.99 (that’s 60% off the list price of $299.98). Note, this sale is only for today, Saturday, December 22, 2012 until 11:59pm PST while supplies last. Alfred Hitchcock, the famed director known as “The Master of Suspense,” has directed over 60 motion pictures in his lifetime, Psycho, North by Northwest, and Vertigo among countless others. One of his standouts, 1954’s Rear Window, has just been turned into a visually panoramic piece of eye candy in a time-lapse video, which has gone viral. You can watch the 3-minute video here below. 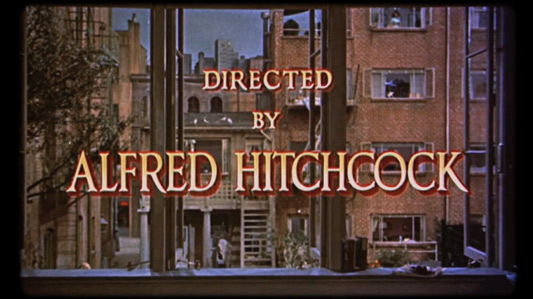 Rear Window is a film full of suspense, humor, and bizarre twists that were stock in trade for Hitchcock’s pictures. Its main protagonist, an action photographer played by James Stewart, is incapacitated in a wheelchair, nursing a broken leg he suffered during one of his many dangerous jobs. Stewart’s apartment faces out to a large courtyard, and we, like him, see the action only through his eyes, which creates a very tight, claustrophobic atmosphere. Stewart alleviates his boredom being in the chair by spying in the windows of the other apartment in the courtyard. By accident, he feels he’s witnessed evidence in one of the windows that a murder has taken place. As Stewart is not physically able to put the pieces together, he and we as an audience, feel the frustrations as he is forced to leave those functions to solve the murder in the hands of others, like his girlfriend, played by Grace Kelly, among others.